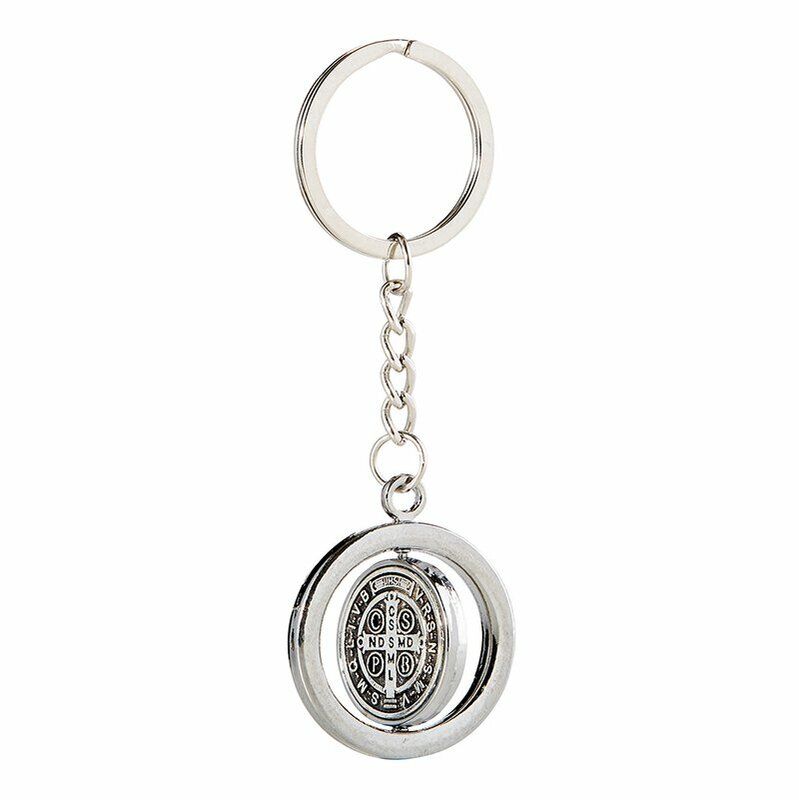 This St. Benedict keychain features a unique design allowing the medal to spin freely inside. 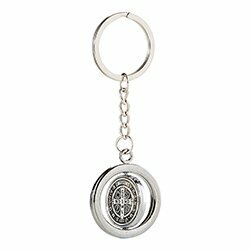 The Saint Benedict Medal is a Christian sacramental medal containing symbols and text related to the life of Saint Benedict of Nursia, used by Roman Catholics, as well as Anglicans, Lutherans, Methodists and the Western Orthodox, in the Benedictine Christian tradition. 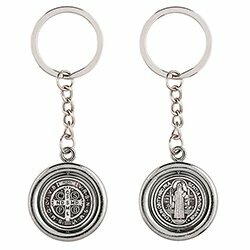 The medal is one of the oldest and most honored medals used by Christians and due to the belief in its power against evil is also known as the "devil-chasing medal."